Westworld, the HBO sci-fi series, just starts its second season. It has a lot of fans, and I am one of them. 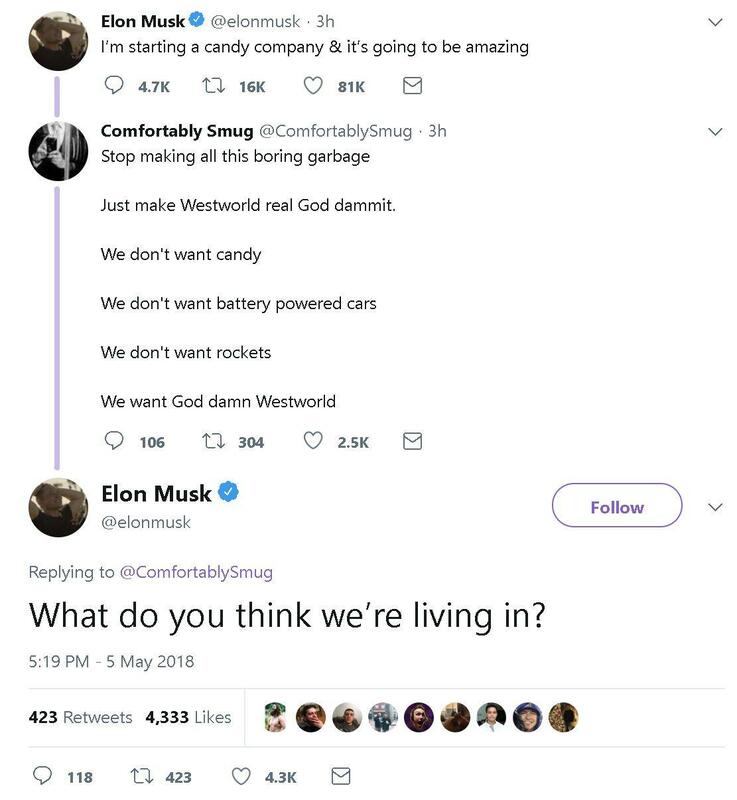 However, I would not post on Elon Musk's twitter and ask him to do something about it.